At Casa Levitt there is no official Negroni Week, although we love the fact that there is a special week dedicated to honoring this cocktail of perfection. To be perfectly honest, Negronis in one form or another are a year round libation at our home. The mere presence of one has me fantasizing about sitting in the piazza experiencing La Dolce Vita. 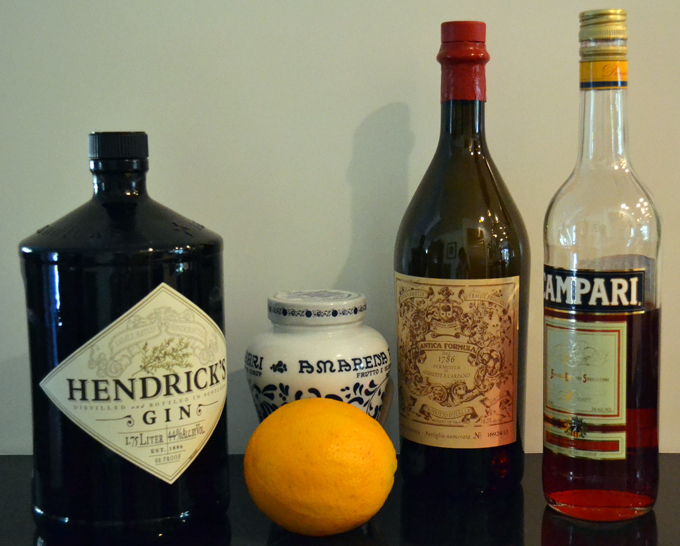 Negroni Sbagliato, you may ask…what is that about? Well, sbagliato translates to “mistaken” in English which refers to the lore about how the drink came to be…. Sgroppino…I had almost forgotten about that Venetian potion, a cross between a digestivo and dessert until last April when we spent an afternoon with the Cheschin family of Il Colle Prosecco. The Aperol Spritz or Lo Spritz as it is called in Italy, is an essential part of the pre-dinner ritual while sitting in the piazza as the sun sets after a long summer’s day. The streets become lively as locals arrive to “prendiamo un aperitif” or have an aperitif and socialize. The florsecent orange colored Aperol Spritz gently eases one into the evening, as the alcohol content is lower than your standard cocktail. I silently chuckle each time a cherished Italian friend firmly refuses a cocktail deferring to Lo Spritz instead; his way of thinking renders a Spritz as virtually nonalcoholic, thereby perfectly respectable. Relaxing in the shade with an Aperol Spritz, a few little snacks and some friends typifies what many have come consider emblematic of La Dolce Vita, the sweet life. Mio Marito has become quite the Italophile over the years, developing an appreciation and rather uncanny understanding of all things Italian, including yours truly. He has embraced the history, culture, customs, food, and wine. Did I mention the late afternoon aperitivi? A veritable master of that domain… Our early evening ritual when in Italy is to facciamo una bella passeggata (take a nice walk together) followed by an aperitivo before dinner. After years of experience, his preferred cocktail is without a doubt, the Negroni. Apparently the Negroni came into being in Florence in the 1920’s when the nobleman Count Cammillo Negroni asked a local establishment to prepare an Americano asking him to substitute gin for club soda. Lucca Picchi, head bartender at Caffe Rivoire in Florence wrote a book about the colorful Count in 2008, available in Italian: Sulle Tracce del Conte: La Vera Storia del Cocktail Negroni (On the Trails of the Count: The True Story of the Negroni Cocktail)….